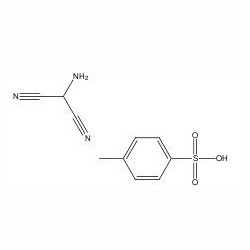 We are one of the leading processors of a wide range of Aminomalono Nitrile-p-toluene Sulfonate. Used extensively in Research & Development Centers, Laboratories and Pharmaceutical Industry, these are formulated using superior quality chemicals compounds. In addition, these are also known for features like precise pH value, accurate composition, longer service life and optimum effectiveness.